Thank you for all your positive reviews! "We reached there at one of the busy night, we stood on the line. The manager of the place( the Gentleman with the glass) was busy on calling one- by -one as seats were available. We we were impressed by his passion and dedication even on those busy and crazy night. as soon as seat was ready, he called us to have a seat. According to his suggestion ,we took sambossa, hommus and chicken kababs. food was delicious. We were again thankful for the manager who recommended such a delisious items even at that busy night. he was passing by several times asking us ..everything was all right ! despite his tense job, the restaurant manager was excellent so as the mouthwatering foods. we will definitely back. I would say it -one of the best afghan Restaurant." "When I went here, I was a little apprehensive because I'm a vegetarian, but it was well worth breaking the habit to get some lamb kebabs. The food was excellent- even the rice was somehow better than usual. What really put it over the top for me was the rose ice cream for desert. AWESOME. Living in Flushing, I've gotten used to crappy service, but the people there were so nice. I would definatly recommend it. Also, the eggplant appetizer was FANTASTIC." "This is one of the best kebob houses in the city. It's afghani kebobs, there huge. The first time I tried this place, I had the salmon kebob. Delicious. They start you off with flat bread heated and yummy with a yogurt dipping sauce. Then the afghani salad with their awesome white dressing. I also tried the kofta kebob ( chopped meat with middle eastern spices) Wow.! I highly recommend this place. Parking is hard to find but well worth it"
"This is by far my favorite place to go for Afghani food. In fact, I haven't managed to find a place that even comes close to it in terms of quality/ quantity. My parents ran a small business down the block from it for years. After that I've gone less often since it is very far from where I live. However, when I do return it is always a delight. I have gotten the chicken and brown rice as well as the lamb chops. Both are amazing. The meat is always tender and the way they spice it, is really unique. It's understated but so satisfying. I think a place like this would make a SERIOUS killing if they were to open a location in Manhattan; it's really a shame they haven't yet! Also, their white sauce is yogurt based, not mayo based (which sadly is what a lot of places do -- ugh)." 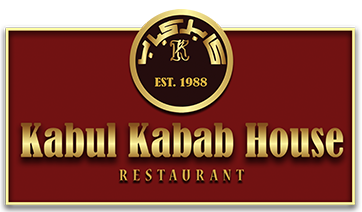 "As an Afghan, I can tell you that I know what Afghan food is supposed to taste like and in all the places I have eaten throughout the world and the US, this place has the best, most mouthwatering kabob's that I have ever tasted. My favorite are the lamb chops, had them with rice and wonderful service on numerous occasions. If you are looking for real taste, this is by far the best place to find it."